Images Source: ESA via BBC. 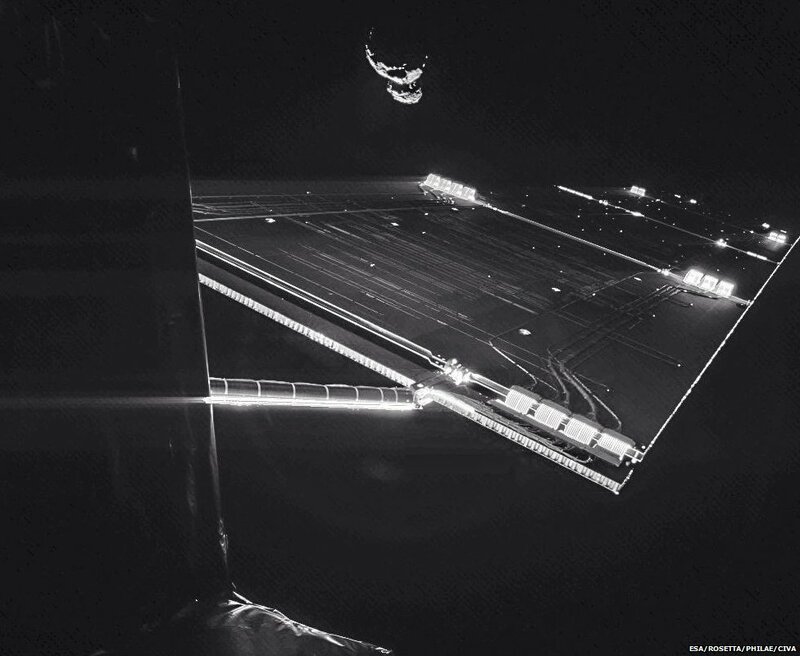 Tomorrow, the European Space Agency is planning to announce how and where its spacecraft, Rosetta, will land on the comet 67P/C-G. This Jupiter class comet, discovered in 1969 by Klim Churyumov and Svetlana Gerasimenko, is a 10-billion-tonne mass of ice and dust, which is currently about 400 million km from earth. 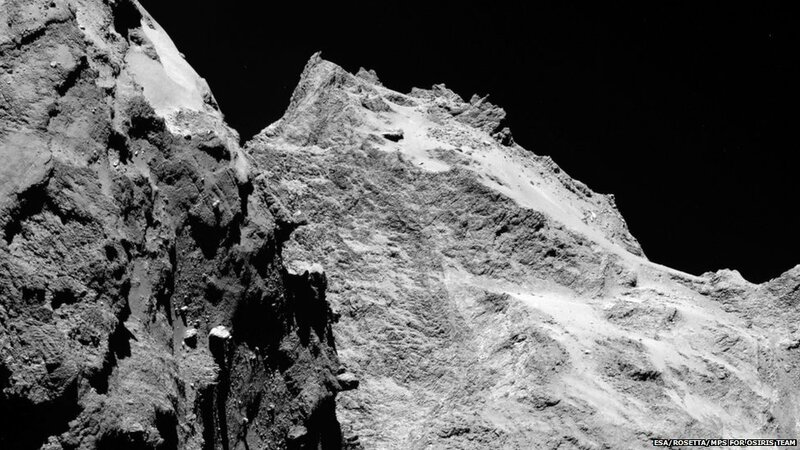 Here are some photos of Rosetta has already taken of the comet's surface.